The Mayo Clinic Center for Individualized Medicine and the Mayo Clinic Center for Regenerative Medicine, two of the signature transformational centers at Mayo Clinic, are coming together in a major study on aging and dementia. Mayo Clinic’s Florida campus was recently awarded a $5.3 million grant from the National Institutes of Health (NIH) to identify vascular risk factors in aging and dementia, and translate that knowledge into studying potential targets for treatment. 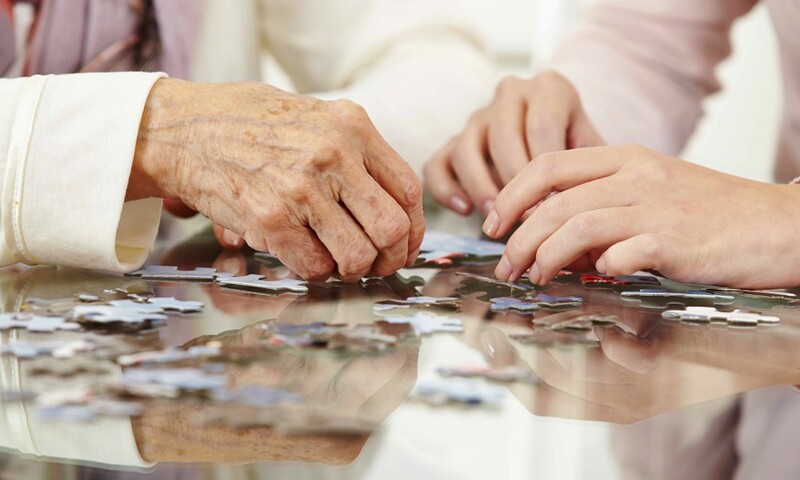 The grant is one of the first awarded as part of the National Alzheimer’s Project Act, which called for an aggressive and coordinated national Alzheimer’s disease plan. The first goal of the national plan is to prevent and effectively treat Alzheimer’s disease by 2025. Guojun Bu, Ph.D., a molecular neuroscientist, and Nilüfer Ertekin-Taner, M.D., Ph.D., a neurologist and neurogeneticist, are the principal investigators for the study. Both are based on Mayo Clinic’s Florida campus. Several additional investigators on Mayo’s Florida and Rochester, Minn., campuses, as well as Mount Sinai School of Medicine in New York, will be involved. One of those investigators will be Melissa Murray, Ph.D., an associate consultant in the Department of Neuroscience at Mayo Clinic in Florida, who received the Gerstner Family Career Development Award in 2015 from the Mayo Clinic Center for Individualized Medicine. The NIH grant will fund a five-year study of the association between vascular disease and Alzheimer’s and related dementias, pulling together Mayo’s teams in Florida and Minnesota to work on laboratory studies, population studies, patient-provided data, and brain pathology. The study will include clinical data and biomedical samples from 400 living patients. It will leverage the data collected through the Mayo Clinic Study of Aging, which follows patients in Olmsted County, Minn., over time, providing valuable information in clinical behaviors and biomarker changes. The study also will incorporate brain pathology data from 400 brains provided by the Mayo Clinic Brain Bank on the Florida campus, which holds one of the world’s largest collections of donated brains for medical study. 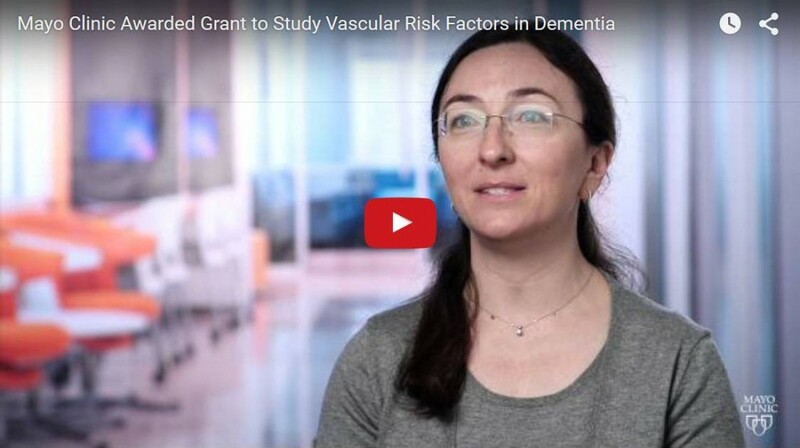 The grant includes study of vascular outcomes, such as stroke or bleeding in the brain, as well as imaging studies of vascular signatures in the brain. Dr. Bu uses individualized medicine and regenerative medicine techniques to take patients’ skin or blood cells, and differentiate them into stem cells. He then creates brain or vascular cell types to study diseases. He is a leader in development of animal and cell models to study APOE. 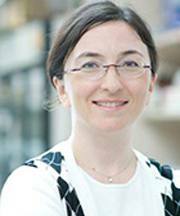 Dr. Ertekin-Taner says it is because patients and families agree to provide samples for studies that Mayo Clinic is able to conduct this study. She says the most common question from patients with Alzheimer’s disease and their families is whether there is a cure. Drs. Guojun Bu and Nilüfer Ertekin-Taner discuss the $5.3 million grant from the National Institutes of Health to identify vascular risk factors in aging and dementia, and translate that knowledge into studying potential targets for treatment. 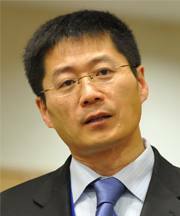 Rui Chang, Ph.D., Systems Biology, is participating from Mount Sinai School of Medicine.